Although having to initiate Plan B the day before put us slightly behind schedule with respect to our first dental clinic day, the dentists and assistants among our volunteer group swiftly sprung into action, and under their direction we transformed the basic health post into a temporary dental clinic. Any available surface (including wood tables and rudimentary doctor chairs complete with stirrups) were covered in garbage bags and transformed into dental exam chairs. The gas generator we had hauled in was fired up to get the drills drilling, and a makeshift sterilization staion materialized out of nowhere. Rubbermaids were stacked to become instrument tables and plastic chairs became dental assistant supply storage, conveniently holding an array of needles, anaesthetic, and plastic gloves. Word spread…People came… And the dentists went to work. An initial assessment and triage was done in the line-up. Then, five dentists, one registered dental assistant, one official dental hygienist, two instrument sterilizers, two translators, and several sets of extra hands to fill in the gaps where required, set about seeing patients, extracting teeth (mostly due to severe decay and infection causing pain), and filling cavities (when an offending tooth could still be salvaged). 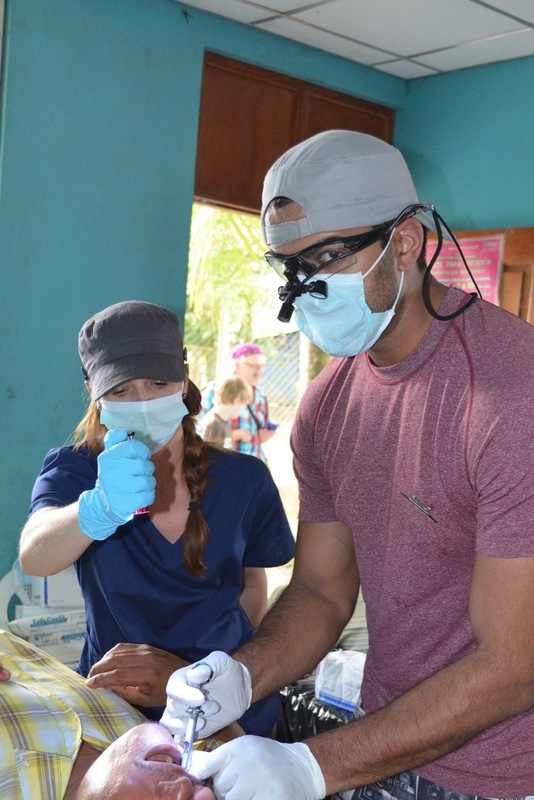 As an able-bodied helper, I pulled on some gloves, donned a mask, and took instruction as a quasi-dental assistant. Although the dentists requested various instruments and things I didn’t know the names of, I soon had them trained to ask for things by their more obvious descriptions: clear viles, yellow thingies, pink thingies, giant q-tips, little gauze, the pokey thing, the spatula thing, big gauze, the ballerina tool, etc. And I also got really good at aiming a flashlight. I am generally a queasy person, and although I thought it would bother me to watch extractions (and the associated infection, blood, stitching, and digging for root tips that this involves) up close and personal, I actually found it more interesting than horrifying. More satisfying than the dentistry lessons, however, and equally surprising, was my ability to communicate (albeit I did sometimes require backup from one of the translators) with the patients. As one of the only members of the team with any Spanish language ability, I was required to get over my shyness about using it and actually just go for it. And to my surprise, I could successfully offer words to calm nerves, words to explain the process, and words to ask about pain versus pressure. For the adults, however, this was some place they definitely wanted to be. 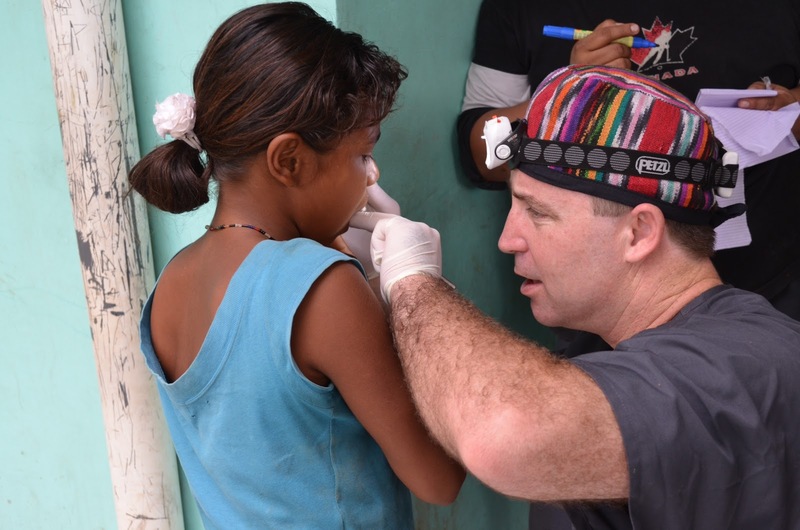 With the understanding that an absessed tooth (or many), an infection (or many), an exposed root (or many) has severe health implications — the least of which surprisingly is often the inability to consume food — they practically leapt up onto the table knowing that the little discomfort they might experience would literally change their lives for the better.